TUNIS, Tunisia — Protests erupted on Christmas day (Tuesday) in Tunisia after the death of a journalist who set himself on fire to protest economic problems in the North African nation, prompting clashes with police and nationwide concern, Washington Post reports. Journalist Abderrazak Zorgui posted a video online before his self-immolation in the struggling provincial city of Kasserine describing his desperation and calling for revolt. He expressed frustration at unemployment and the unfulfilled promises of Tunisia’s 2011 Arab Spring revolution. According to Washington Post, authorities said Zorgui died of his injuries Monday soon after being taken to the hospital. His actions prompted a protest Monday night in Kasserine, Tunisia that degenerated into violence, with police firing tear gas to disperse protesters who blocked roads and threw stones at police. Interior Ministry spokesman Sofiane Zaag told Washington Post on Tuesday that six police officers were injured and several people arrested in the protest. 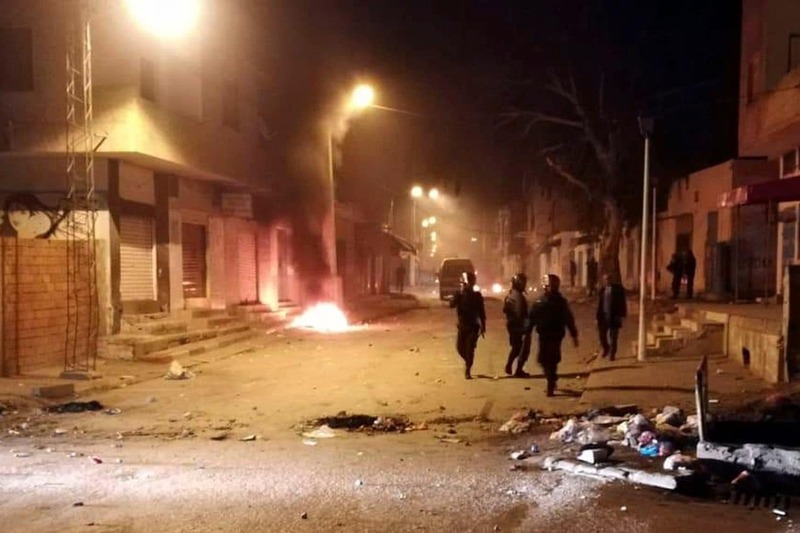 A new protest was held Tuesday night in Kasserine, with new tensions with police, and other actions were reported elsewhere. A similar self-immolation – by a street vendor lamenting unemployment, corruption, and repression – led to nationwide protests fueled by social media that brought down Tunisia’s long-time authoritarian president in 2011. That ushered in democracy for Tunisia and unleashed similar movements around the Arab world. Unemployment and poverty are high, and the area has struggled for years against extremists in the nearby mountains who are linked to al-Qaida and the Islamic State group. The Tunisian National Journalists’ Union called for demonstrations and a possible strike in response to the journalist’s death. In a statement, it accused the state of contributing to Zorgui’s death by not cracking down on corruption. Tunisian reporters expressed solidarity with Zorgui, lamenting precarious conditions for freelancers with no legal protections and low pay amid Tunisia’s struggling economy. “The reasons for this young man’s suicide are poverty and marginalization, as well as the fragile situation of most journalists,”Latifa Labiadh of radio station Amal was quoted by Washington Post.